A recent decision from the Southern District of New York dramatizes the ongoing legal liability to which banking and other financial institutions are exposed when an economic fraud and resulting scandal all occur. In this longstanding matter, Defendants Credit Suisse, Deutsche Bank, and Merrill Lynch remain very much in harm’s way due to allegations relating to their conduct in connection with certain debt securities issued by the now infamous Enron Corporation — nearly seventeen years ago. This case was originally filed in the Southern District of New York in 2002, Silvercreek Management, Inc. v. Citigroup, Inc. The case was transferred to the Southern District of Texas as part of the Enron Multidistrict Litigation. Discovery was completed in 2006. Later in that year, the court certified a plaintiff class, which Silvercreek opted out of. Upon opting out, the court stayed Silvercreek's claim pending the outcome of the class action. The class action concluded in 2010, the stay was lifted that year, and Silvercreek filed its complaint in 2011. In 2016, Silvercreek moved to remand to the Southern District of New York. The motion was granted, and, after a settlement with JP Morgan Chase and Barclays, the remaining defendants filed a motion to dismiss in 2017. The court denied this motion, leading to the current motion for summary judgment. Victims of financial deceit routinely and directly seek recompense from banks sitting close to or in the chain of an economic fraud, and especially when the perpetrator is in bankruptcy. Such was the case here. In late 2001, investment group Silvercreek Management Inc. purchased nearly $120M of debt securities from Enron — just months prior to Enron’s high-profile December 2001 bankruptcy filing. Silvercreek alleged that the Defendants each knew of, and substantially assisted, Enron’s deceit by designing, marketing, funding, implementing, and distributing numerous transactions utilized and deployed by Enron to essentially “cook its books.” Silvercreek sued the Defendants for aiding and abetting Enron’s fraud and negligent misrepresentations, conspiracy with Enron to commit fraud, their own negligent misrepresentations, and claims under state and federal securities laws. The Defendants moved for summary judgment on all claims. Judge Oetken denied summary judgment motions by the Defendants on Silvercreek’s claims for aiding and abetting Enron’s fraud. The Court held that fact questions existed for a jury as to whether Defendants had actual knowledge and substantially assisted with Enron’s fraud. The Court stressed that while “red flags” or “warning signs” were not an acceptable substitute for actual knowledge, circumstantial evidence could be sufficient to allow Plaintiffs’ claims to get to a jury and, as to each of the Defendants, held that such evidence in fact existed in this case. The record included statements by Deutsche Bank employees that they should "torch" Enron files because of "something funky . . . in those [Enron] books." Similarly, a Credit Suisse employee allegedly referred to Enron as a "house of cards." In contrast, the record against Merrill Lynch was "devoid of blunt statements." Still, the court ruled that a jury could find, given the totality of the circumstances, that Merrill Lynch substantially and knowingly assisted in Enron's fraud. Likewise, the Court denied summary judgment against all Defendants as to Plaintiff’s civil conspiracy claims, “[t]o establish a claim of civil conspiracy, plaintiff must demonstrate the underlying tort [—here, fraud—], plus the following four elements: (1) an agreement between two or more parties; (2) an overt act in furtherance of the agreement; (3) the parties’ intentional participation in the furtherance of a common purpose or plan; and, (4) resulting damage or injury.” The Court ruled that a “reasonable jury [could] find that Defendants knowingly agreed to further Enron’s underlying fraud in conducting certain transactions." The Court also went through an instructive defendant-by-defendant analysis of the record and Silvercreek’s claims that both Merrill Lynch and Credit Suisse made negligent misrepresentations when marketing certain of the notes at issue. The Court reaffirmed New York’s requirement that the liability for negligent misrepresentation can only exist when a “special relationship” of trust and confidence exists between the parties, and where the injured party Plaintiffs relied on that relationship. Typically, as a general principle, a broker-customer relationship does not qualify as a “special relationship” trigger for a viable claim of negligent misrepresentation; however, the Court noted that the existence of such a relationship is always fact-intensive with each case being different. Therefore, if Defendants recommended Silvercreek make the Enron purchases knowing the information provided would be relied on by Silvercreek and that the Defendants’ conduct linked them to Silvercreek’s reliance such a relationship could be established. Ultimately the Court found that Credit Suisse (but not Merrill Lynch) would have to answer as the claims of negligent misrepresentation at trial. Specifically, the Court held that there was evidence that could allow a reasonable jury to conclude that Credit Suisse directly solicited Plaintiff’s investments, acted as broker for those purchases, and misrepresented existing facts as to Enron’s creditworthiness, so as to establish the relationship required to sustain negligent misrepresentation claims. 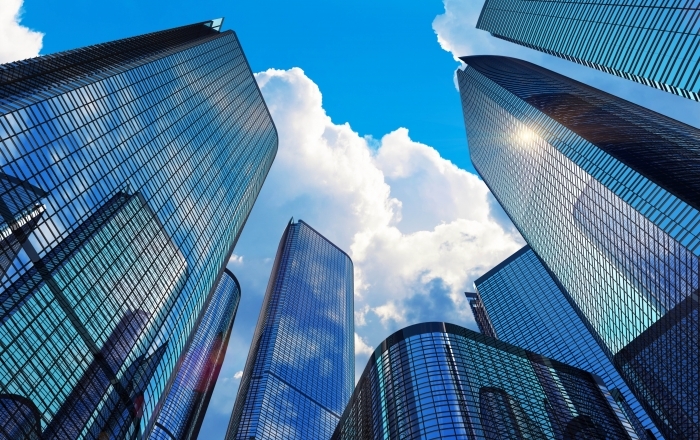 While the relationship with Merrill Lynch was long standing, Silvercreek could not point to any specific facts distinguishing this relationship from the half dozen of other brokers and banks with which Silvercreek dealt. Notwithstanding dealing with other brokers and banks, the court would still have entertained the claim if Silvercreek had been able to show, with specificity, its reliance on Merrill Lynch's statements. The decision and analysis in the Silvercreek case reinforces that banks will almost always be in the direct line of fire from plaintiffs whenever and wherever economic fraud strikes. The passage of time in the Enron scandal, or any “fatigue” that might have existed as a result of it, was of no moment to the Court. The notion that these banks, absent a settlement or legal reversal, are now looking down the barrel of a jury trial on whether they knew of, aided, substantially assisted, conspired and/or (in the case of Credit Suisse) made their own misrepresentations in connection with Enron’s fraud. This case should serve as a loud reminder to all financial institutions that their internal policies, procedures, supervision, and compliance protocols when making representations or soliciting investments must be robust. Personnel must also react to suspicions or concerns they see in emails and also must be equally mindful that such emails could form the basis of “evidence” against the bank— even seventeen years later. 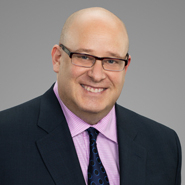 Mark A. Kornfeld is the Co-Chair of the Quarles & Brady Securities and Shareholder Litigation Practice Group, and is a Partner resident in their Tampa Office of Quarles & Brady LLP. Mark was one of the core attorneys contributing to the Madoff Recovery Initiative, where he served the Trustee and his lead counsel as the first Chair of the Settlement and Expert Committees, and was one of the handful of attorneys to have interviewed Bernard L. Madoff, in prison. 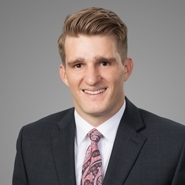 Nicholas D’Amico is an associate in the Tampa Office of Quarles & Brady LLP and is a member of the Business Law Group.